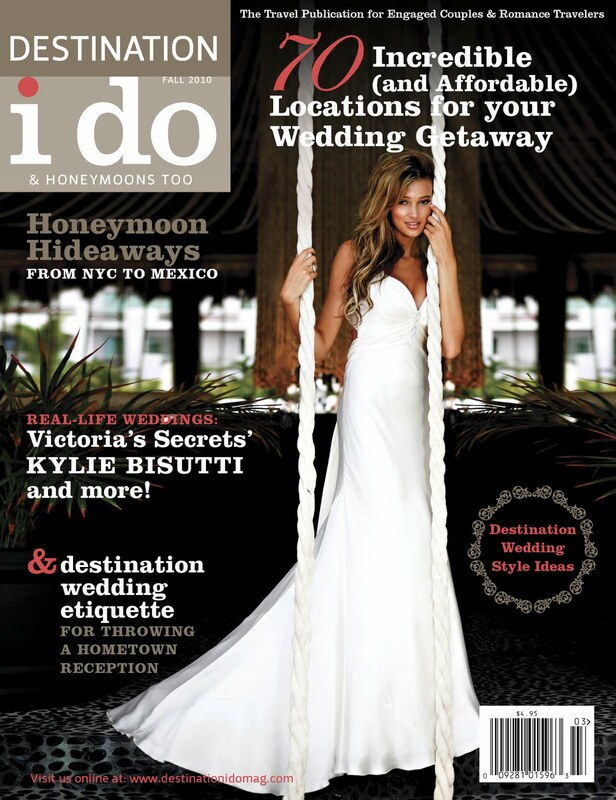 Enjoy Romantic Mexico at Cabo Azul, The Wedding Destination of Kylie Bisutti! Cabo Azul Resort is a little slice of paradise situated on 12 acres of pristine beachfront property in San Jose del Cabo, Mexico. 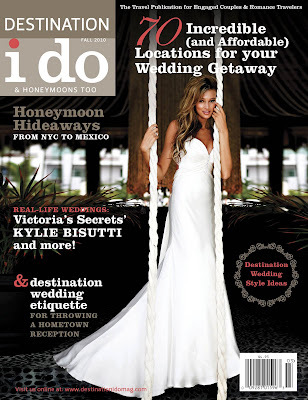 Victoria's Secret Model, Kylie Bisutti (shown on cover above) tied the knot at Cabo Azul (also shown in image above) in a private ceremony with her closest loved ones in attendance. 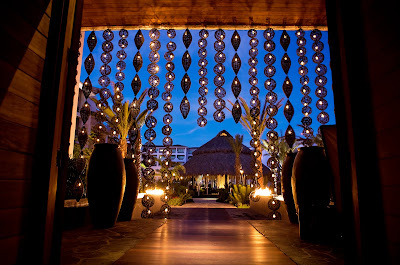 When it came to selecting the resort over others in the area, Kylie had this to say, "We absolutely loved everything that Cabo Azul had to offer us. The resort is beautiful beyond words and it was a place our family would enjoy." And right now, you can take advantage of incredible savings at Cabo Azul Resort as a reader of Destination I Do! This exclusive offer is tailored just for you and your special someone to enjoy an exotic and romantic Mexico retreat as the cold fall and winter months drive you inside. As a valuedDestination I Do reader, Cabo Azul Resort wants you to take advantage of this fabulous offer. • This represents a total discount of up to 25% if you booked this package on your own. This offer must pre-paid and book by 12/17/2010 and travel must be completed by 1/31/2011. and mention promotion code "RCDI"
If you call 888-507-3291 and prepay by 11/12/2010, we’ll even throw in an extra night stay bringing your total nights in paradise up to 4. 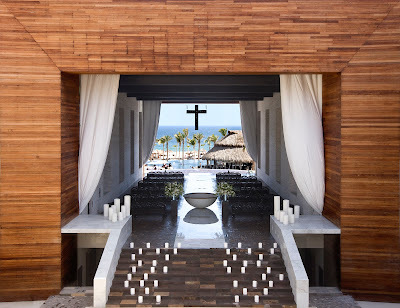 This 4 diamond resort features 145 fully appointed villas is at least a 1,200 one-bedroom unit and has a full sized balcony to relax outside, three infinity pools, an award winning spa (Paz), the finest in Mexican cuisine (Javiers), and the centerpiece (literally) is our $11 million dedicated wedding chapel (Corazon). 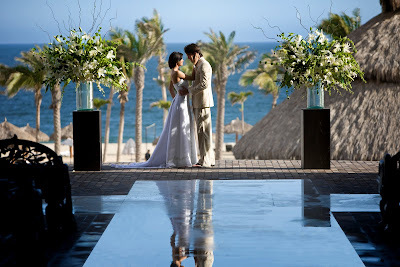 Top that off with a top notch, full service staff waiting to pamper you, and Cabo Azul Resort is the ultimate romance destination vacation or wedding location. Enter to Win A Dream Honeymoon Getaway: If you aren’t quite ready to embark on your spontaneous journey, enter to win 7 nights in a luxurious one bedroom villa and $500 in resort credit. One lucky couple will win a vacation in paradise . . . Enter before 12/31/2010. Either way, take the next step to ensure your next romantic getaway will be at Cabo Azul Resort – you won’t be disappointed. Visit us on Facebook or see our exciting videos at www.youtube.com/user/CaboAzulResort.